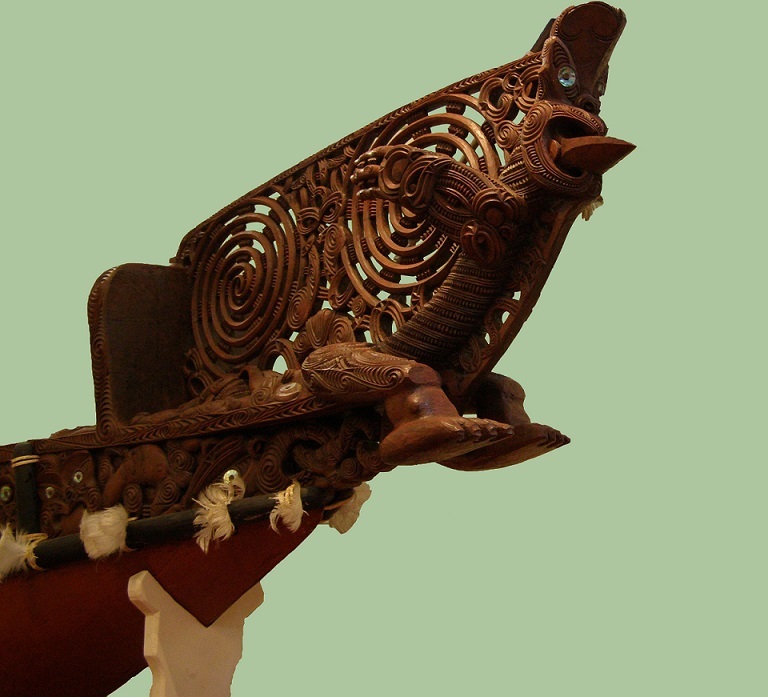 Replica carving of Te Rauparaha’s canoe prow. Carved in the local style of the late 1830’s – 1840’s as would have been seen in Te Rauparaha’s fleet. The hull ( HIWI ) and top stakes ( RAUAWA ) are made from totara recovered from Paraparaumu Beach. Adzed and carved in the traditional manner by Len Taylor of Paraparaumu. 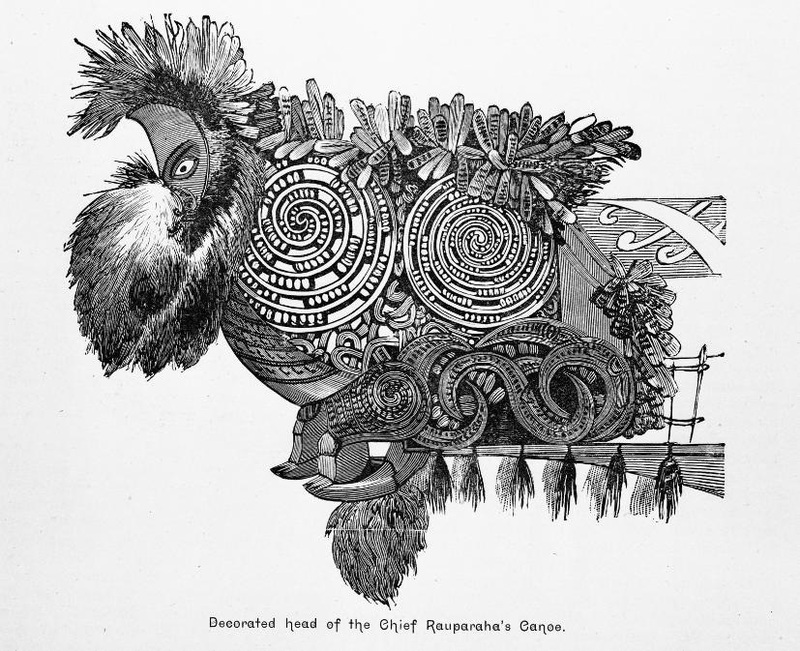 The decorated head of Te Rauparaha’s war canoe. 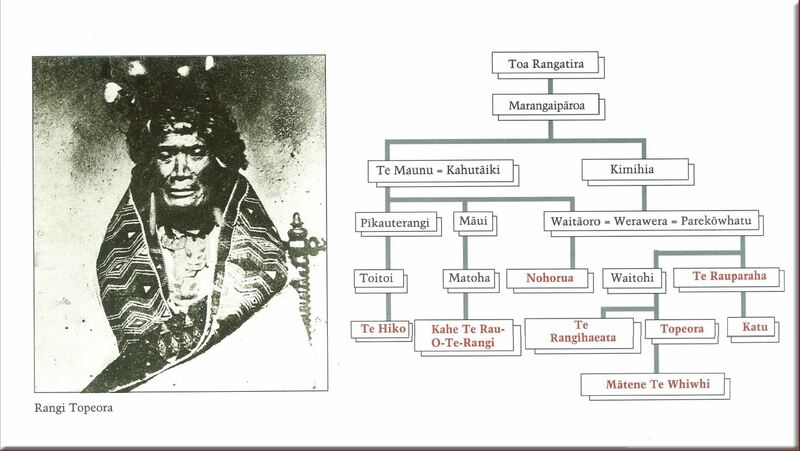 Ngati Toa Rangatira family tree. 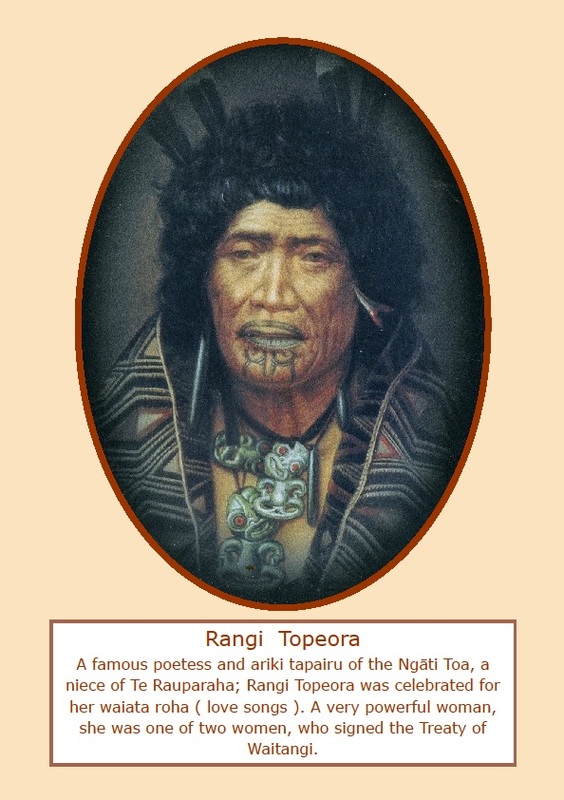 Rangi Topeora from the Kapiti Region whose signature appears on the Treaty Document.